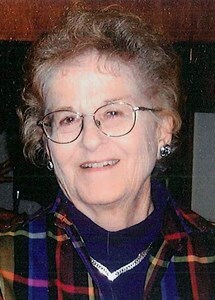 Roberta Ann Valentine Kiehl passed away peacefully from this life on Thursday, March 28, 2019 after a gradual decline in health. Roberta was born in Effingham, KS, November 8, 1930. She was the youngest daughter of Robert F. and Mary A. (Marie) Lewis Valentine. She attended Atchison County Community High School before marrying her high school sweetheart, Donald Eugene Kiehl, September 17, 1950. They lived in Omaha, NE, Kansas City, Tecumseh, and Topeka, KS. The last eight years of her life, Roberta lived contentedly in Homestead Assisted Living, Topeka, KS. Roberta is survived by daughters Beverly J. Kiehl and husband, John B. Pendergrass, Joplin, MO and Ann E. Keller and husband, Dennis R. Keller, Rossville, KS; grandchildren, Jason Levi Keller, wife Erin, Edwardsville, KS, and Amy DeAnn Keller, husband Tim Shoemaker, San Francisco, CA; two step-grandsons Michael Pendergrass, wife Emily, Jacksonville, AR, and Matthew Pendergrass, Pittsburg, KS; great-grandchildren Miles Keller, Beckett Keller, Bailey Pendergrass, and Isaac Pendergrass. She was preceded in death by husband, Donald E. Kiehl, July 1, 2011, and sisters Marjorie Turner, Topeka, KS and Beulah Torkelson, Liberty, MO. Roberta worked in Topeka at McCormick Rug Co, McAbee Body Shop and Harry’s IGA. She had many hobbies, including ceramics, gardening and walking the shopping malls. The ability to play the piano by ear was her special talent. She was a devoted Grandma Berta, avid animal lover, Decker 4-H Club parent and leader, and a member of Tecumseh United Methodist Church. The family would like to express their highest appreciation for the exceptional quality of life provided by the caregivers and second family at Homestead Assisted Living and Great Lakes Caring Hospice. A memorial service will be held at Parker-Price Cremations, Funerals & Receptions on Saturday, April 13, 2019 at 11:00 a.m. A light buffet luncheon will be provided following the service at the funeral home. Memorial contributions may be made to Tecumseh United Methodist Church, 334 SE Tecumseh Rd, KS 66542 or Helping Hands Humane Society Inc., 5720 SW 21st St, Topeka, KS 66604. To share a memory of Roberta or leave a special message for her family, please click the Share Memories button above. Add your memories to the guest book of Roberta Kiehl. I was sorry to read of the death of your mother. You have my sympathy. I remember her as a gracious woman who let this city kid tag along to the fair in Topeka and go to Eureka for the races. She even managed not to laugh when it was obvious I knew absolutely nothing about horses. I am sure you will greatly miss her. My prayers are with you. Sincere condolences from our family to yours in the loss of your mother. All my thoughts and prayers to you both and your families. I didn't know your mother well but thought her to be such a kind and loving person. She was a joy to know. My mom thought very highly of her. I was saddened to here about the passing of your mother. I remembered your mother as a very kind and giving person. I know that you and Ann and your families are grieving ,but your mom is in a better place. Our thoughts and prayers are with you and your families. Carolyn and I are so sorry for your loss. I was in a class following Don and Bert at ACCHS in Effingham. I'll always remember the kindness in both. I also knew Bert's father, Bob and her grandfather Bert. Don's brother Bob was in my class. He was a good guy. We always had a lot of fun. Don's initials were DEK, same as mine. When we would see each other in Topeka, we would joke about the similarity. Good pleasant memories! !